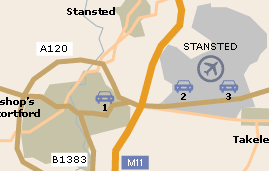 Stansted Airport Parking can be either on-airport or off-airport. 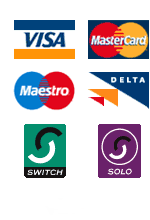 For details of Stansted Airport Parking options simply select from the map or the following list to view the facilities which suit your needs best. We are certain that with our price match guarantee you will find the best possible price for your Stansted airport parking. You drive direct to the terminal. You will be met and your car taken to a secured compound whilst you proceed direct to check in. On return your car is brought back to you at the terminal. The storage compound has Security Doors and 24 hour on site security. Transfers operate 24 hours a day, every 30 minutes. Check in your car and keys for transfer to the airport. No arrivals or departures on 24th, 25th, 26th, 31st December and 1st January. Vans and Commercial Vehicles are NOT accepted. Stansted Airport provides a wide range of facilities including those for business, children and the disabled. In addition, a full range of 1st class airport services are offered. Public transportation to and from the airport is reliable and frequent with a choice of trains, coaches, Stansted express, taxis and car hire. Those wishing to drive to the airport will find it easily accessible from the M11 and well sign posted from the access roads. The airport offers a range of valet, short and long stay parking. London Stansted Airport handles roughly 19 million passengers a year and demand is always growing. The UK's fourth busiest airport, Stansted is the fastest growing in Europe. It has 1 terminal and 1 main runway. Stansted serves 20 different airlines to approximately 114 locations worldwide.